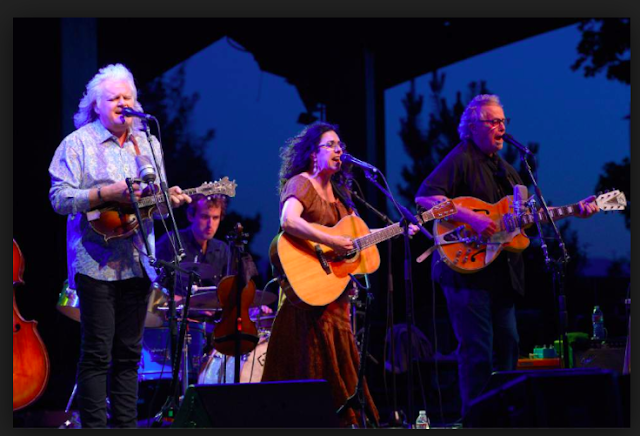 The other night I was at a Ricky Skaggs/Ry Cooder/White Family gig east of the Blue Ridge in Charlottesville, VA. The vibe was religious revival, the songs a mix of Gospel, folk, bluegrass -- and Grand Ole Opry, especially when the Whites jumped in with their heart searing harmonies. The sold-out audience was ready to climb right in when Cooder belted out "Take Me In Your Lifeboat." And for the duration of the song, at least, I thought I'd died and gone where this great music magician will sing us all beyond that raging storm into Glory Land. But when they got into "You Must Unload," an old Blind Alfred Reed anthem, the evening got personal. You must, you must unLOAD! I felt suddenly virtuous, in synch with the times and ready for heaven. Though hardly a One Percenter, I had just done my part for the cause. I'd unloaded, radically downsizing earlier this month from a 4-bathroom, 5-bedroom, 3-level, 2+-acre house to a baby townhouse so small it almost qualifies as a Tiny House. Everything is there because I love it, must have it and need it. The rest of the stuff has gone to Habitat or Goodwill. Living on less. The unloading process was cathartic. I even sold half my books. What's left pops, looks fresh and brand-new. Like a piece of writing with the words that are not absolutely necessary cut ruthlessly out. I'm a writer and I'd just edited my own life.